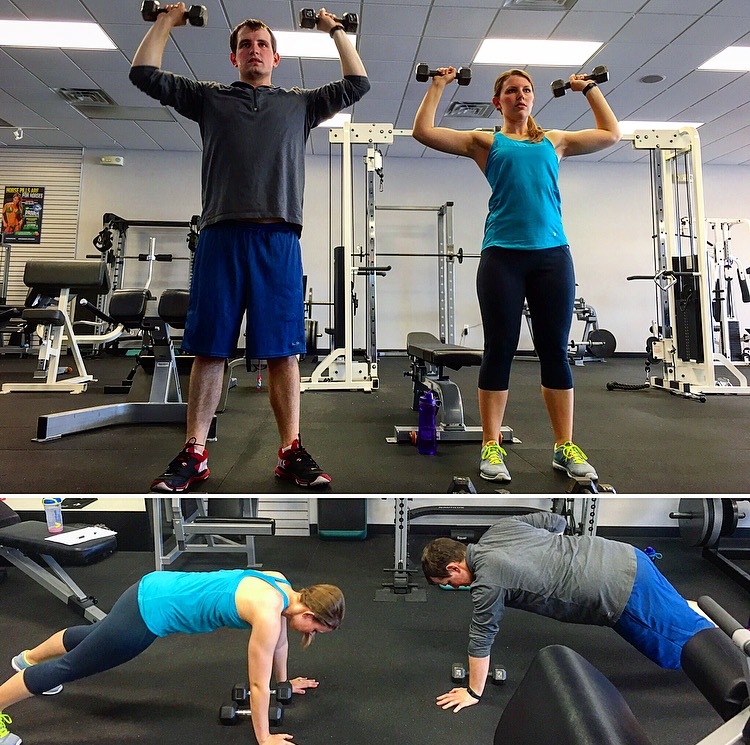 Shayln and Josh Got Fit together at Hitch Fit Gym Overland Park! Every single week Shayln and Josh’s weigh-ins would be down. 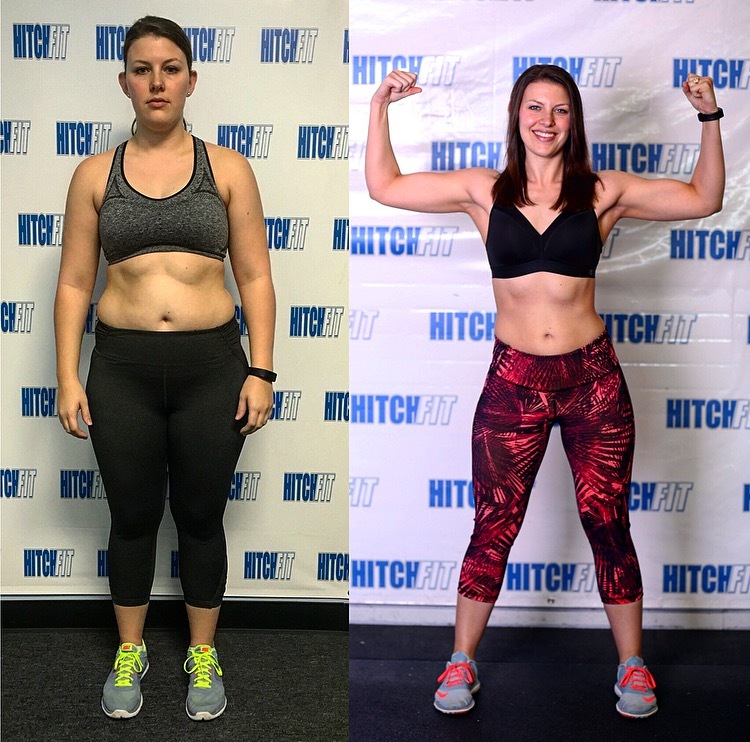 Both of them worked so incredibly hard to stay on course by learning how to eat right and maintain their new lifestyle even through all their engagement parties, wedding showers, etc. 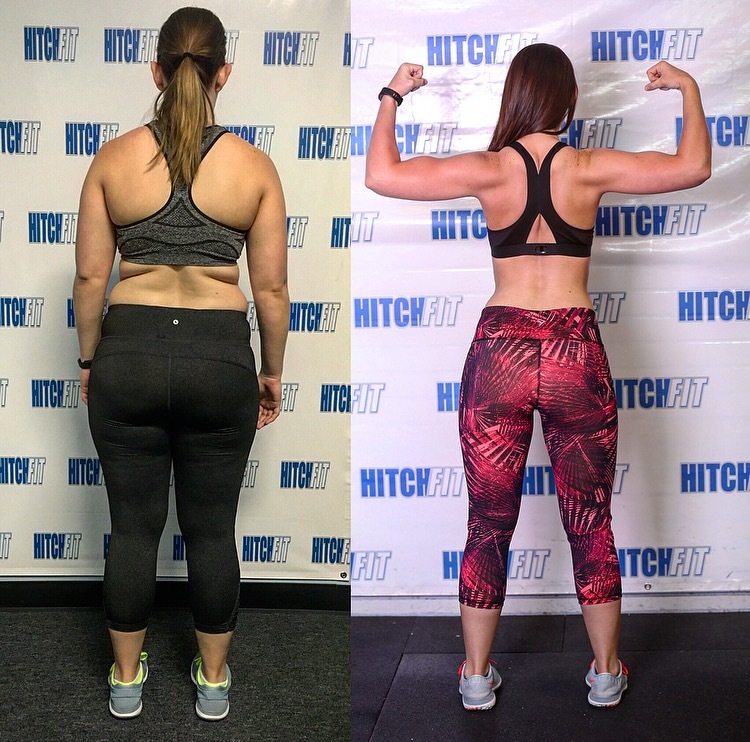 Both Shayln and Josh were having such incredible transformation results that we actually had to stop one month before their wedding so they could maintain their body shape long enough to have their wedding dress and suit fitted for their wedding day! 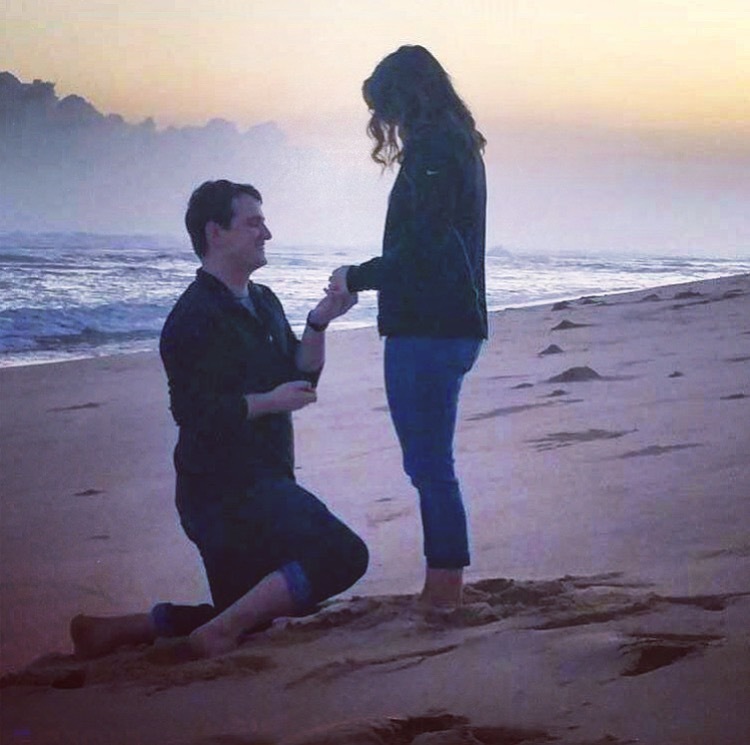 Over the course of about 16 weeks, Josh and Shayln had taken on a lot – not only had they both committed to a transformation, but they also somehow managed to take a vacation to Hawaii, get engaged, plan a wedding in two months, fix up and sell their house, get married, and plan their move to California all DURING their transformation. 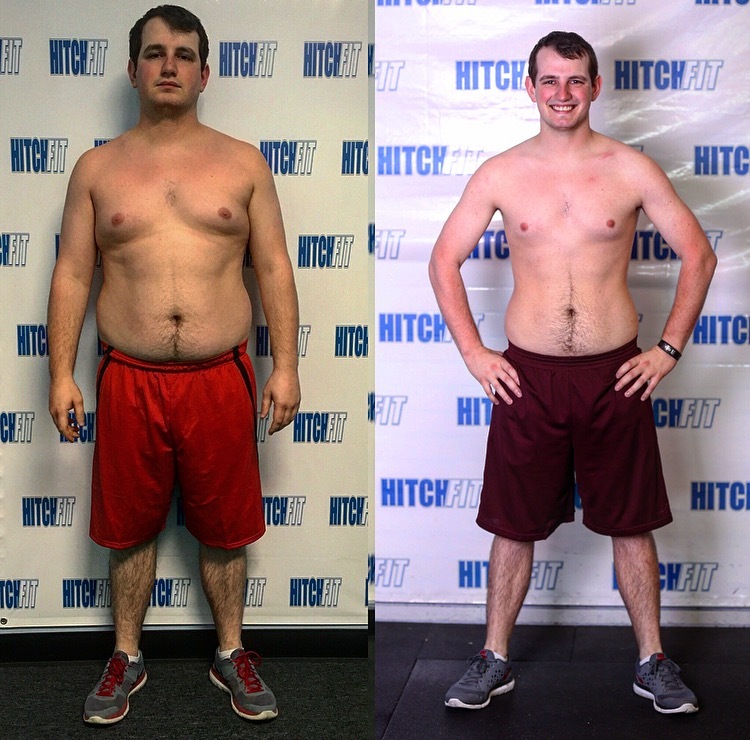 For those of you reading this who say you have too much on your plate to commit to a transformation, Josh and Shayln are walking testaments that is it possible! The transformation process is totally manageable and is possible to achieve even when life gets hectic and crazy. You may ask how this was all possible for them to achieve and I would say hats off to this guy – Josh. 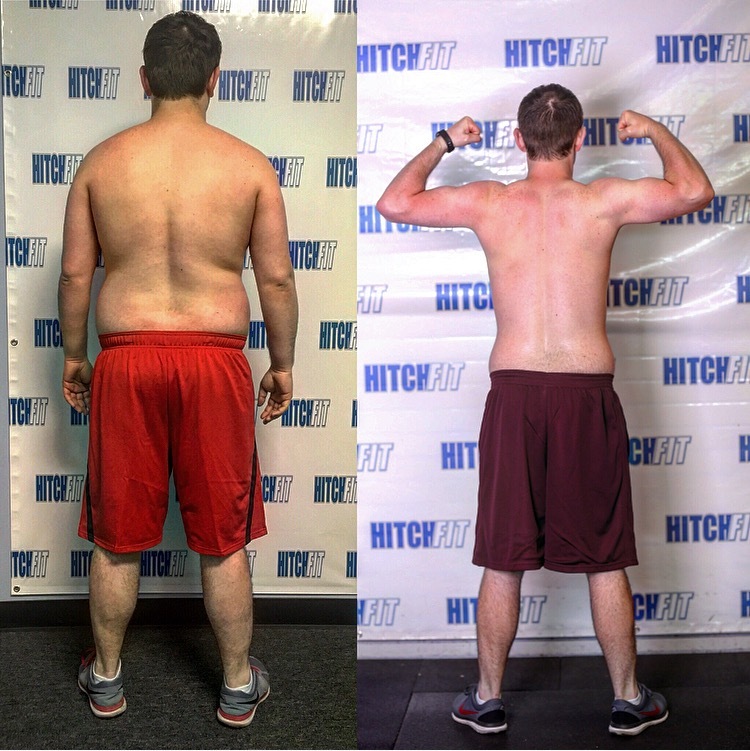 Josh came to Hitch Fit after his wife convinced him that they were going to do the transformation process together! Josh and Shayln made their recent move out to California so Josh could pursue his Doctorate in Economic Policy. 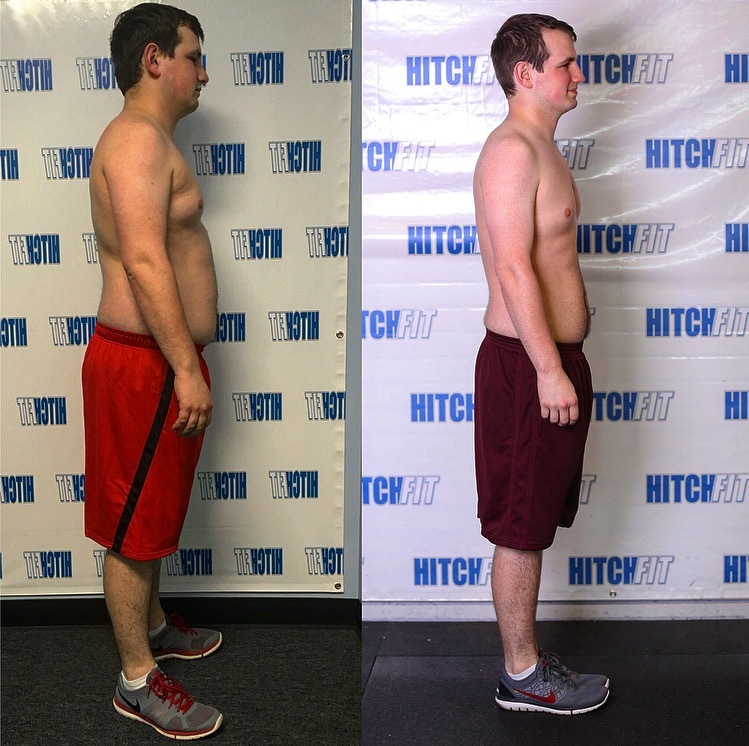 Throughout the process, no matter what life threw at Josh – he stayed the course and he was able to drop 15.68% body fat! Shayln and Josh were absolutely A+ clients. 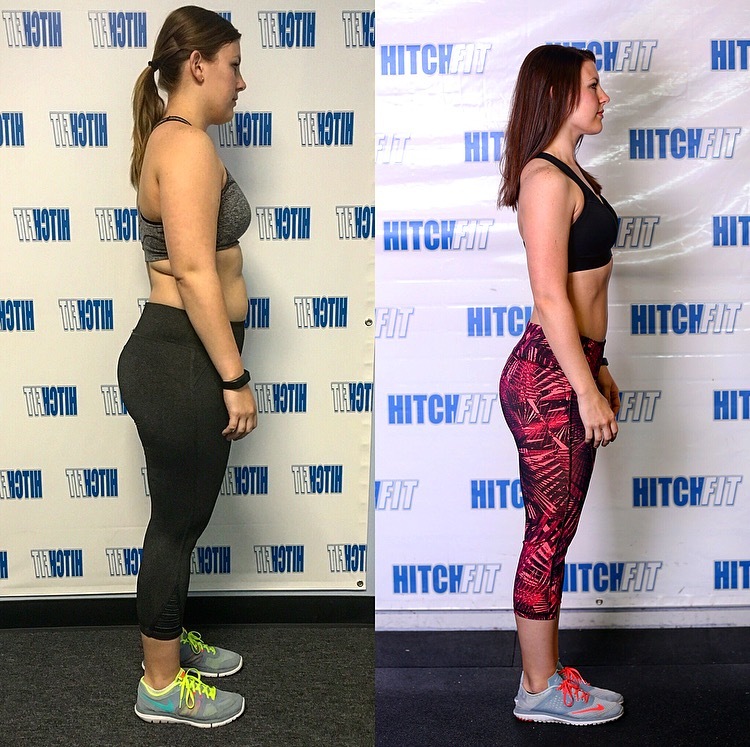 Together they would help prepare each others meals, they were always in the gym lifting together, they made time for one another and time for this transformation and their dedication definitely paid off. They definitely looked at this process as an investment in their future they were about to start together. Are YOU ready for your transformation in Overland Park?